Pennsylvania private colleges and universities have a little something for everyone. Do you prefer college athletics to academics? No problem. Pennsylvania can help you. Do you like state-of-the-art science facilities? Pennsylvania has got you covered. Do you enjoy rolling farmlands? Or perhaps you are a big city slicker. Either way, the "Keystone State" can take care of you. Pennsylvania private colleges and universities offer a wide range of education programs with degrees and certificates up to the doctoral level, as well as professional degrees such as law and medicine. There are 173 colleges in Pennsylvania, 64 public and 108 private colleges. 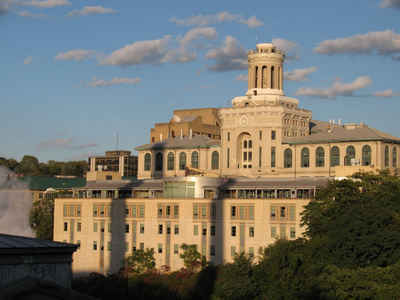 Pennsylvania is home to some of the top colleges in the country, the University of Pennsylvania. The state is home to many historic educational institutions, as well as newer colleges, both public and private. The private universities can be broken down into the following categories: private colleges and technical schools, private Bible colleges, private four-year universities and colleges, private specialty schools and private doctoral schools. While there are an ample amount of private universities and colleges in Pennsylvania, that doesn't mean that students who wish to pursue a public higher education route don't have any opportunities. Private colleges and universities may be profit or non-profit institutions. Typically, Pennsylvania independent colleges or private schools give weight to personal characteristics and activities in addition to considering GPA and test scores. The largest being University of Pennsylvania with 21,313 full time students. Bucknell University is the most expensive with an in-state tuition of $45,132. On average, how much does it costs to attend private college in Pennsylvania? The average annual in-state private college tuition in Pennsylvania is $23,662 in 2013.